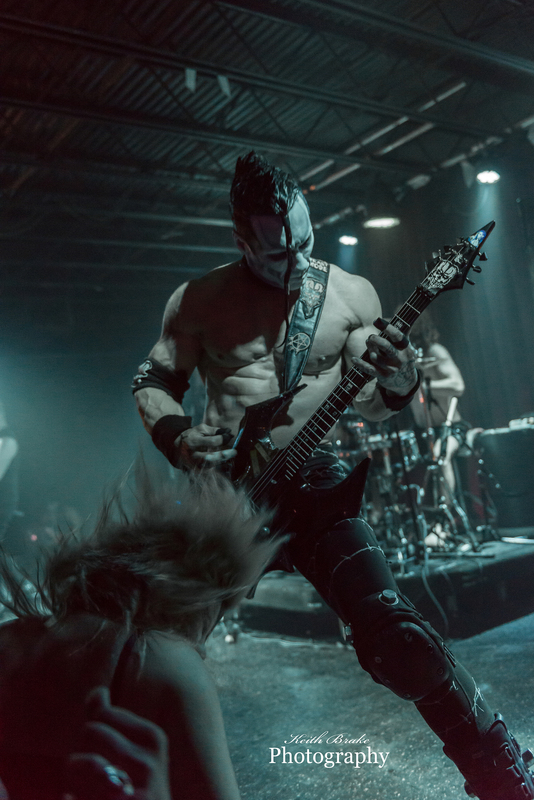 Doyle Wolfgang Von Frankenstein and his band “Doyle” are kicking off their “Abominate the world Tour 2017” and St. Louis was the second stop along the way. The Firebird was the chosen venue for the stop and I think it was a fitting mood for the show. The Firebird, for those who may not know, allows for a super close up, intimate experience for the fans. So close, in fact, there is no photo pit, which allows for up close interaction for the lucky ones who get to the stage early. If an artist you love is at this venue, you can get close enough to be sweat upon by them. Element a440 are traveling along with Doyle to offer support for the tour. Element a440 is an edgy dark metal group that lures you in with driving beats, melodies and catchy hooks hidden within some in your face metal. The group is not short on stage presence either. They engage the crowd and invite interaction. I think throughout the course of their set Halo, the front man and lead vocalist, fist bumped everyone he could see; at times even beckoning them from the back of the room. 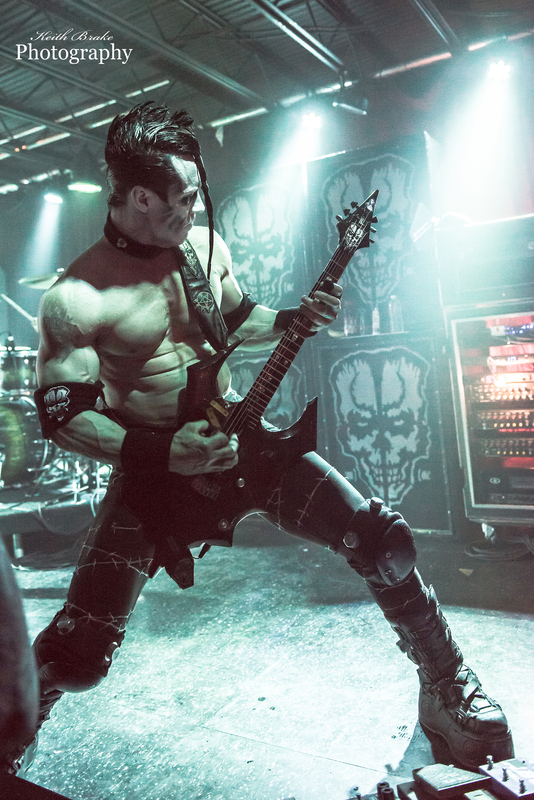 When Doyle took the stage the crowd was more than ready. As I weaved and angled my way through the patrons to get my vantage point for the photos, I could hear fans talking where and when they had last witnessed the powerhouse that is Doyle on stage. 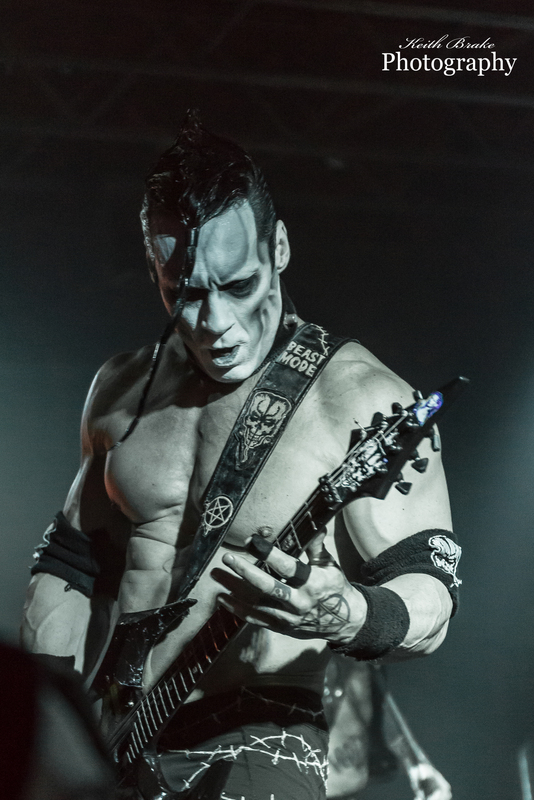 The Misfits guitarist draws a crowd of all ages, certainly some old school fans in the room with just as many new comers. “Doyle” takes the stage with authority and amazing energy and almost demands that you pay attention. The group is fronted by Alex “Wolf Man” Story, and if you can peel your eyes from the giant guitarist with the ghostly white face, he is an amazing craftsman at his trade. Jumps, death stares and just plain old fashioned rocking out make him a pure joy to behold.